Included with HPS AllianceSign Up Now! 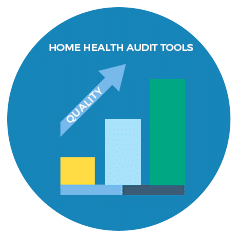 Obtain the tools to help ensure documentation compliance and identify billing errors prior to submitting claims or facing an audit. 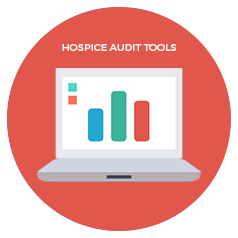 HPS Alliance members have immediate access to these tools via the Alliance Dashboard. Obtain the tools to help ensure compliance with the requirements of important claims-supporting documents, as well as ensuring that medical record documentation support different levels of care. HPS Alliance members have immediate access to these tools via the Alliance Dashboard. The Home Health Emergency Preparedness Interpretive Guidelines includes a detail table that assists our Alliance members in managing the Emergency Preparedness information. Immediately available for download from the Alliance dashboard! The Hospice Emergency Preparedness Interpretive Guidelines includes a detail table that assists our Alliance members in managing the Emergency Preparedness information. Immediately available for download from the Alliance dashboard! Healthcare Provider Solutions provides PPS Reform, Medicare PPS Billing, Reimbursement and Hospice Billing seminars to meet the needs of Home Care and hospice agencies across the United States. Billing is a very critical part of Home Care. This two day workshop will lay a concrete foundation for new billers, as well as, experienced billers by giving them a more effective approach to the Medicare PPS. Be among the elite group of billers that are current on all Hospice Medicare billing regulations. Billing is a very critical part of hospice reimbursement. This workshop will lay a concrete foundation for hospice billers,.